Coincidence, or Harold the Doll? She wanted to know if that was true and I told I was thinking of moving, but to New England… not New Jersey, in August. Now that I’ve decided where I’m moving to, I messaged her to let her know. We were messaging each other on Facebook and our conversation turned to Harold the Doll. As I was filling her in on some of the latest things that have been going on the wifi in my hotel went on the fritz. 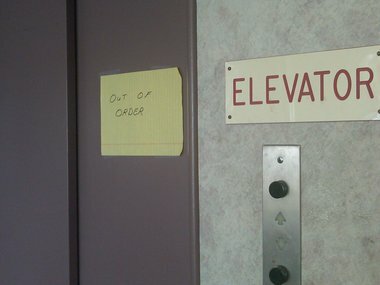 Not only that, but the hotel elevator became stuck, with me in it. You ok? Did I say something wrong? Has Harold the Doll ever attacked me?